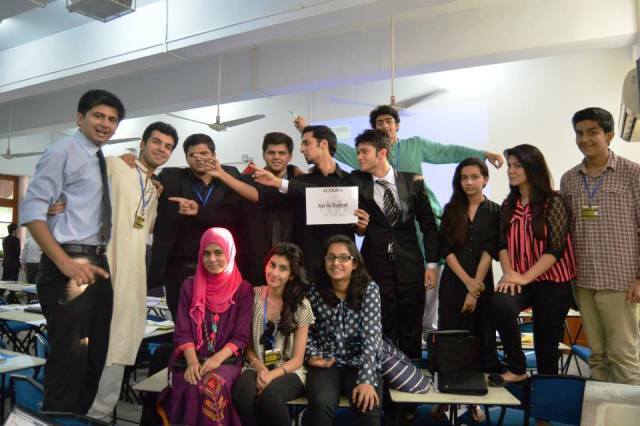 Hafeez-Ur-Rehman Hadi was head delegate of the Forman delegation that participated in Aitchison College Model United Nations 2013. Model United Nations is the simulation of real United Nations and discusses the global issues and problems, and recommends solution to the United Nations and its stake holders. Hafeez-Ur-Rehman Hadi, a student of Economics and Politics at Forman, was a part of the Pakistan National Assembly and, was representing the personality of Altaf Hussain on the issue of political instability in Karachi and militancy in North Waziristan. The issue at hand was dealt with considerable attention and serious debate by all the major stake holders and parliamentarians of the Pakistan National Assembly. 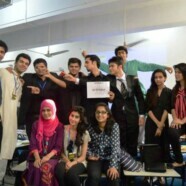 Hadi was also chosen as the only delegate of his committee to represent his committee in the diplomatic meet. He got a chance to interact with different ambassadors of Pakistan, notably Mr. Shahid Malik, High Commissioner of Pakistan in New Delhi and Senator Wasim Sajjad. Out of 85 delegates of Pakistan National Assembly only one best diplomat delegate had to be chosen and with an intensive debate and diplomacy of 96 hours, Hafeez-Ur-Rehman Hadi was able to earn Best Diplomat Delegate award. Former acting president of Pakistan, Wasim Sajjad awarded Hafeez with a souvenir. Hafeez-Ur-Rehman Hadi has represented Forman Christian College both at national and international platforms and has been bringing laurels since 2010. Meanwhile, in the SOCHUM committee Ahsan Ali, a senior majoring in Biotechnology, won an honorable mention debating upon social media issues. Social Cultural and Humanitarian Council, SOCHUM, is the following committee of United Nations General Assembly.